Osaka University-led researchers demonstrated that the perturbation of laser imprinting on a capsule for nuclear fusion fuel made from stiff and heavy materials was mitigated. Using the latest chemical vapor deposition (CVD) method, they also produced high-precision diamond fuel capsules, a key technology applicable for fusion fuel. When initiating nuclear fusion reactions by compressing a fuel target in the form of a capsule, perturbation of laser imprinting due to irradiation non-uniformity grows on the surface of the capsule. 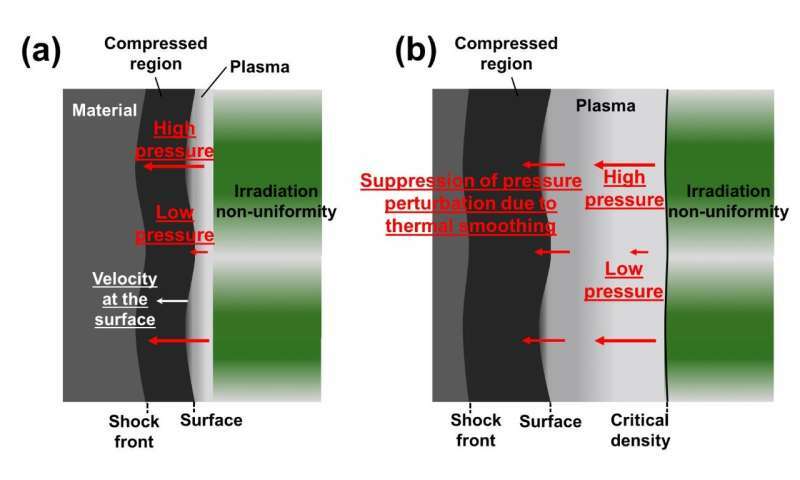 In inertial confinement fusion (ICF), a fuel capsule is irradiated directly with laser beams, so laser imprinting by laser irradiation and the surface roughness of a capsule are major issues because they prevent compression and heating of fuel. In this study, the researchers first tried to mitigate laser imprinting. Paying attention to the fact that diamond is stiff but exhibits high elasticity under ultra-high pressure of 100 GPa, they performed basic experiments and simulations regarding the influence of material stiffness and density on mitigation of imprint perturbation. As a result, it was clarified that the perturbation of laser imprinting on the surface of a diamond capsule was reduced to approximately 30 percent of that of polystyrene, a conventional capsule material. These research results were published in Physics of Plasmas. 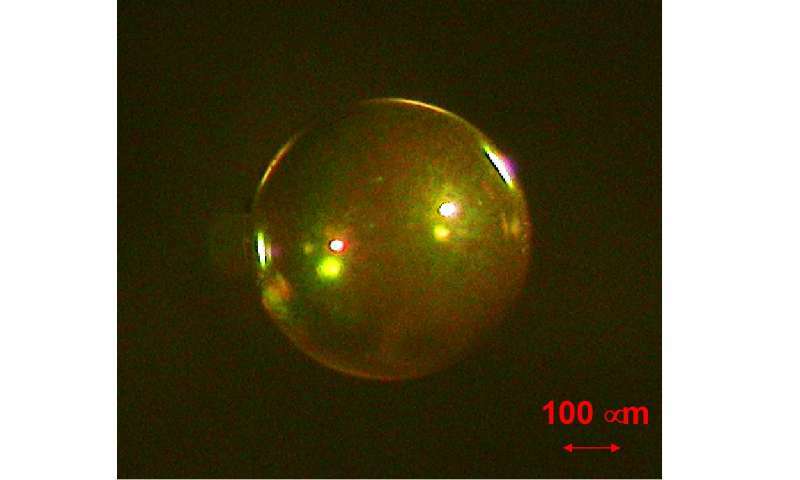 Furthermore, researchers from the Institute of Laser Engineering, Osaka University and the National Institute of Advanced Industrial Science and Technology (AIST) fabricated highly uniformed diamond capsules with surface smoothness (<0.1 μm) and sphericity of 99.7 percent by breaking down a gas mixture composed of hydrogen and methane and producing diamond capsules through a hot filament chemical vapor deposition (HFCVD) technique. This method can further improve surface smoothness through the optimization of concentration and pressure of material gases. This method, which does not requiring a polishing process, can avoid damage due to the polishing process and problems on the machined surface caused by residual stress due to machining damage, leading to the mass production of capsules for nuclear fusion. These research results were published in Diamond & Related Materials. Author Keisuke Shigemori says, "The use of diamond, which is stiff and does not produce the laser imprinting, as a material for fuel capsules will allow for stable compression and efficient heating of laser fusion fuel, accelerating nuclear fusion reactions."